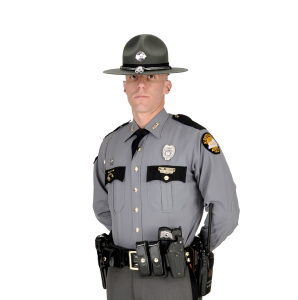 Greenup, Kentucky – (January 20, 2019) The Kentucky State Police, Ashland Post was called just after 02:18 AM on Sunday, January 20, 2019, following a shooting that occurred inside a residence on Cardinal Point, in Greenup County. 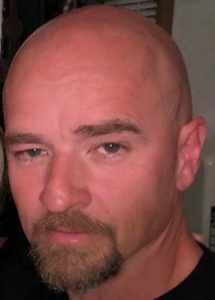 The initial investigation alleges that 47-year-old Angela Miller was shot by her boyfriend, Michael Moore, age 44, of Columbus, Ohio, immediately following a domestic dispute. State Police detectives determined Moore used a 12-gauge shotgun and fired one rifled slug, which struck Ms. Miller in the right side of her lower back. She was transported to Cabell-Huntington Hospital, where she was treated and released. Information gathered suggests Michael Moore fled the scene with the firearm, and is possibly in the greater Columbus metropolitan area. He was last seen driving a black 2007 Dodge Durango with an Ohio license plate, number HLJ4152. Moore should be considered armed and dangerous. Anyone with knowledge of his whereabouts should dial 911 and report his location to local police.